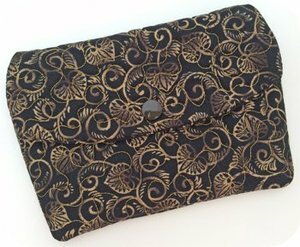 Our unique clutch purse set features a quilted flap, zipper closure and optional lining with credit card pockets. 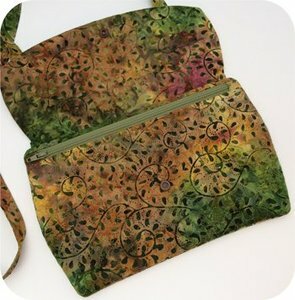 When finished these clutches are fully lined with no exposed seams inside. They are made in your hoop! The 5x7 size has 1 row of 3 pockets in the optional lining. 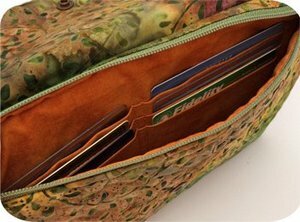 The 6x10 & 7x12 sizes feature an optional lining with 2 rows of 3 pockets. 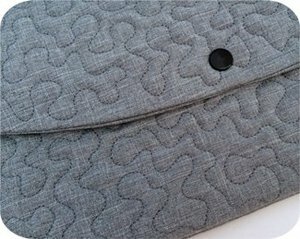 A nice stipple quilting design is on the flap and front of the clutches. You could opt to skip the quilting. Monograms could be added to the flap. There is a snap closure. 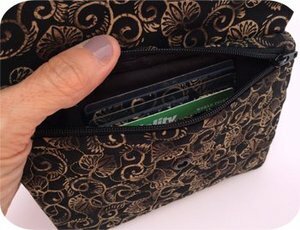 The contents of your clutch are secured with a zipper opening under the flap. 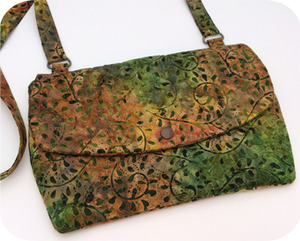 Instructions are included if you want to add a strap to your clutch. We chose to use a purchased handle on this one. This is the 6x10 size. This is the 5x7 size.